When the Upper Canada rebellion began in Toronto in December 1837, Wait joined Dr. Charles Dunscombe's uprising near London just as the British dispersed the rebels. He fled to the US, crossing the Niagara River by canoe. 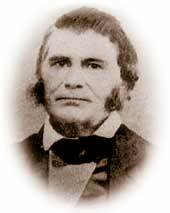 He joined William Lyon Mackenzie's army in occupation of Navy Island with the rank of lieutenant. When the British crushed the rebel attack on Toronto in December 1837, Samuel Chandler helped spirit Mackenzie to America. He too joined the army on Navy Island. Later that March, Chandler attended the inaugural meeting of the Canadian Refugee Relief Association formed by Mackenzie and General Donald McLeod at Lockport, New York. On June 10, 1838, Wait and Chandler joined 24 other Patriot rebels in an unsanctioned assault on the Niagara region of Upper Canada. Guided by Chandler, the men made their way undercover to a place called Short Hills. The men elected Chandler their commissary and Benjamin Wait as major. They lay in hiding for 10 days gathering additional fighters from among sympathetic locals. On June 21, several rebels robbed a farm house while others attacked a hotel occupied by a small troop of British soldiers (Queen's Lancers). After capturing the lancers and threatening to hang seven as revenge for the execution of Samuel Lount and Peter Matthews that April (Chandler supported the hanging but Wait did not), they released the soldiers. With their presence in the Niagara region now very apparent, they wisely tried to flee to America. British soldiers and Canadian militia captured Wait, Chandler, and 37 others. The Upper Canada government brought the full weight of the justice system to bear on the captured rebels. Tried before Judge Jonas Jones, a man prone to issuing death sentences, Wait and Chandler were among 17 men sentenced to hang. 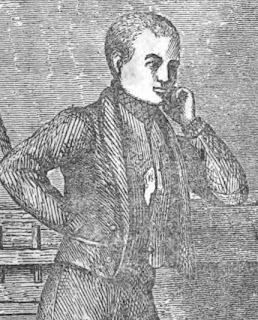 In the end all but one, James Morreau, had their sentences commuted to life in the penal colony in Van Diemen's Land (Tasmania). Wait's reprieve from hanging can be largely credited to his wife Maria. She petitioned and visited government leaders in Canada and the US pleading for mercy. Chandler's daughter, Sarah, campaigned to have her father spared. Together they turned the heart of Lord Durham, the newly appointed Governor of the Canadian colonies. He urged the Lieutenant-Governor of Upper Canada, Sir George Arthur, to not execute Wait and others. The spent several months in Kingston's Fort Henry waiting for transport, where they mingled with Patriot prisoners captured at other raids and battles. Wait wrote they he and several prisoners set up a literary society to pass the time. Finally, on November 9, 1838, the British shipped out most of the captured Patriot prisoners. In his book, Wait detailed the ravages of the Patriot War during the journey down the St. Lawrence River to Montreal. Their prison ship passed Prescott, Upper Canada, just as Patriot forces massed for the assault on that town, an event later known as the Battle of the Windmill. (The prisoners taken in that battle would refill the cells of Fort Henry.) Kept on the ship's deck in freezing temperatures, the captives steamed past Beauharnois, Lower Canada, while the town's ruins still smoldered from a British reprisal against the Patriote's second rebellion days earlier. Wait wrote that, while in transit to England on a lumber ship, several prisoners plotted to take over the ship. According to Wait, fellow rebel, Jacob Beemer, informed the ship's captain in the hope of some reprieve for himself. Beemer was once again branded a traitor. It is surprising that none of his comrades slit his throat. Wait, Chandler, and the other Patriots, including Linus Miller, arrived in Liverpool, England, on December 16, 1838. Four weeks later, they were shipped to Portsmouth. Once imprisoned, they began a fierce letter-writing campaign targeting British officials, jurists, and newspapers. They argued strenuously that their imprisonment was unconstitutional. They believed British justice would spare them the horrors of the penal colony. The books by Miller and Wait referenced in my Short Hills posts contain first hand accounts of Chandler. Ah, very good. Thank you sir! There is no evidence that Jacob Beemer informed on anyone. The evidence of the State archives of Tasmania quite plainly proves that Jacob did steal from the storeroom two cloth coats which belonged to Miller. 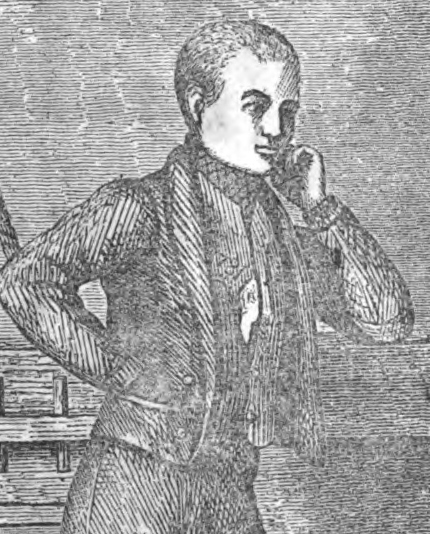 Miller informed on him and Jacob was sentenced to 12 months hard labour on the roads as well as being sent to Port Arthur. The story of him being a constable is a ruse to hide their own behaviour at this time. So where is the story of the coats...missing... and why would they do that? Guilt.. They wanted to make a scapegoat and they did. The newspapers wanted to make a story and some embellishments added flavour. Margaret, I wrote in my second Patriot War history book: "The books by Linus Miller and Benjamin Wait both called Jacob a traitor for snitching on his comrades, though their evidence is scanty"; so, I agree with your first statement. Thank you for the additional information.